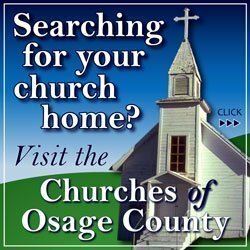 OSAGE CITY, Kan. – Smoke from a controlled burn obscured the roadway and caused two multi-vehicle accidents in western Osage County Saturday afternoon, resulting in multiple injuries to vehicle occupants and pedestrians who stopped to help at the accident scene. 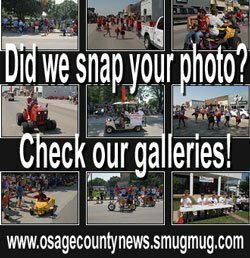 According to the Osage County Sheriff’s Office, a call came in about 5 p.m. Saturday reporting an accident at milepost 384 on U.S. Highway 56, which is about two miles east of the Osage-Lyon county line. The caller also reported heavy smoke across the highway. When emergency responders arrived they found two accidents involving five vehicles. The first accident happened when a 2008 GMC truck, driven by Craig Matthews II, of Carbondale, Kan., was slowing down because of the smoke and a slower vehicle in front of him. Matthew’s vehicle was then struck from behind by a 2000 Chevy Impala driven by Robert Berry, Admire, Kan. The second accident happened when vehicles stopped in the smoke to render aid for the first accident. A 2004 Ford F250 driven by Tressia Mosiman, Valley Falls, Kan., was parked partially in the roadway when her vehicle was struck by a 1996 Jeep Grand Cherokee driven by Clarke Wenger, Osage City, Kan. The Jeep continued on and struck two pedestrians, Jarod Mosiman, Valley Falls, and Shaun Tevis, Admire. Mosiman and Tevis were rendering aid to Berry. Wenger’s Jeep then struck a 2006 Ford Taurus, driven by Daniel Carpenter , Great Bend, Kan.
Shaun Tevis was transported to KU Medical Center by Life Team; Jarod Mosiman was transported to Stormont Vail by Life Star; and Robert Berry was transported to Stormont Vail by a second Life Star air ambulance; all with condition unknown. The fire was reported as a controlled burn. The accident and fire are still under investigation. Agencies assisting at the accident scene included Osage County Sheriff’s Office, Kansas Highway Patrol, Osage County Fire District No. 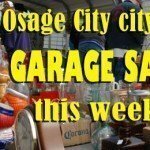 2, Osage County Fire District No. 6, Osage EMS, Life Team and Life Star.